Gas prices are so low that fracking the UK probably isn’t financially viable, according to an Unearthed analysis using extraction cost estimates from EY, Bloomberg and Oxford University. That was our conclusion earlier this year when the oil price crash first caused a fossil fuel crisis from which the industry has yet to escape. In fact, the prognosis for UK fracking looks even worse now than it did then. In January, the gas price was 46 pence per therm and gas futures looked as though they would go as low as 42 pence per therm. Now it’s actually 38 pence per therm. Which means you can add Centrica itself to the list of major companies and organisations whose shale gas extraction cost estimates suggest fracking in the UK is unprofitable. And we’ve done this analysis just a few days after the British government issued 27 licenses to frack across the country. As the graph above illustrates, the current gas price means fracking firms will struggle to break even. In a 2013 submission to Parliament, Bloomberg said it would cost between 47 and 81 pence per therm to extract shale gas in Europe (using USD-to-GBP conversion rates). The Oxford Institute for Energy Studies said in its 2010 report “Can Unconventional Gas be a Game Changer in European Markets” that shale extraction would likely be even more expensive, costing between 49 and 102 pence per therm. EY, in its 2013 report “Shale Gas in Europe: Revolution or evolution?”, went further still, saying it would cost between 53 and 79 pence per therm. And Centrica, which backs UK fracking firm Cuadrilla, said it would cost at the very least 46 pence per therm to frack, according to stats referenced in this 2012 EU report. In each of these scenarios, the price of fracking is (much) greater than the price of gas. And, according to Ice financial projections, it’s going to stay that way for years to come; the gas price does not look as though it will rise above 46 pence per therm in the foreseeable. 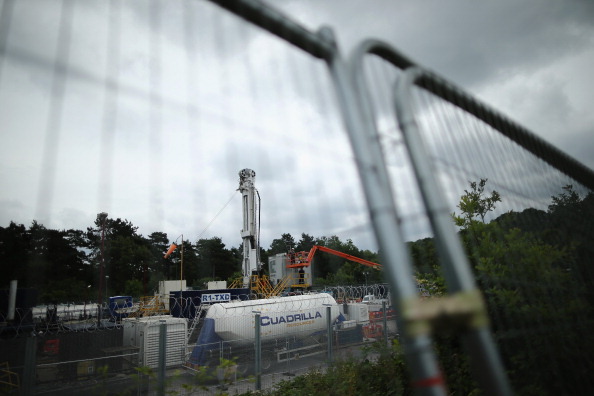 Read more: Has the gas price plunge made UK fracking unprofitable? In a statement two years ago, Bloomberg explained that fracking for gas is cheaper in the US than it would be in the UK “because of higher land prices and lack of rigs and infrastructure”.